this was SO good. SO GOOD. i made it for dinner between two of us with some small veg dishes on the side and it was perfect. cover ginger in a small bowl with cold water. squeeze the water out of your tofu and crumble finely. place in a bowl and mix remaining ingredients and a tbsp of the ginger water. stir well and let the tofu soak up the flavour for 5 minutes. 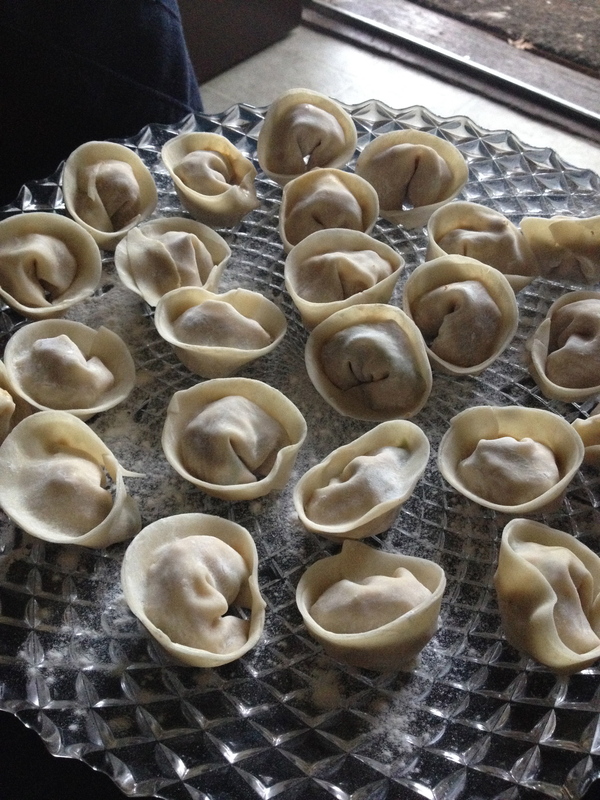 if it still seems wet, pour out some of the liquid, it’ll make your wontons harder to form if the mixture is watery. place a small spoonful of filling in the centre of each wonton and use cool water to seal the wonton, pressing all the sides very well. try to get the air out as best you can. bring the two corners gently towards each other, add a dab of water and press to seal. place on a floured surface until ready to cook. (ok this cooking tip really made a difference for me! in the past i had a lot of broken sad wontons and they didn’t get the beautiful shrinky brain look). so you bring a large pot of water to a rolling boil. once it’s boiling, add a cup of cool water then put your wontons in! as soon as it returns to a rolling boil, add another cup of water to calm it down. once it’s come to a roll 3 times they are finished! serve right away! 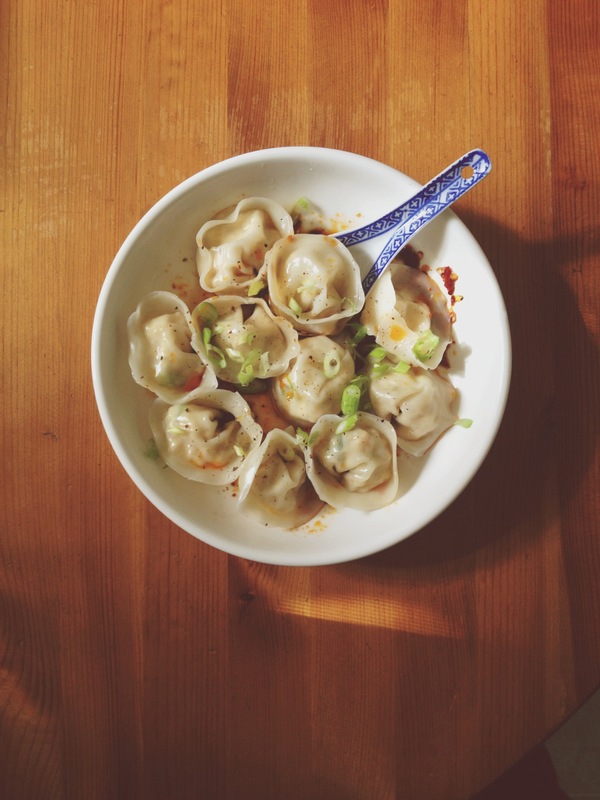 mix sauce evenly in two bowls, add wontons and top with green onions. stir to make sure they wontons don’t stick to eachother and gobble them up.